Originating in China hundreds of years ago, Tai Chi Ch’uan is a gentle, moving meditation that conditions the body and mind, leading to a heightened sense of well-being. 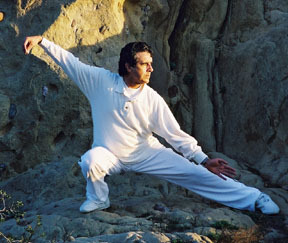 In this course, you’ll begin learning the Tai Chi “form,” comprised of poetically-named movements that strengthen muscles and bones, improve circulation and the functioning of internal organs. Relieve stress, and improve your focus and concentration. All courses are suited to both beginning and continuing students. Wear comfortable clothes and shoes.